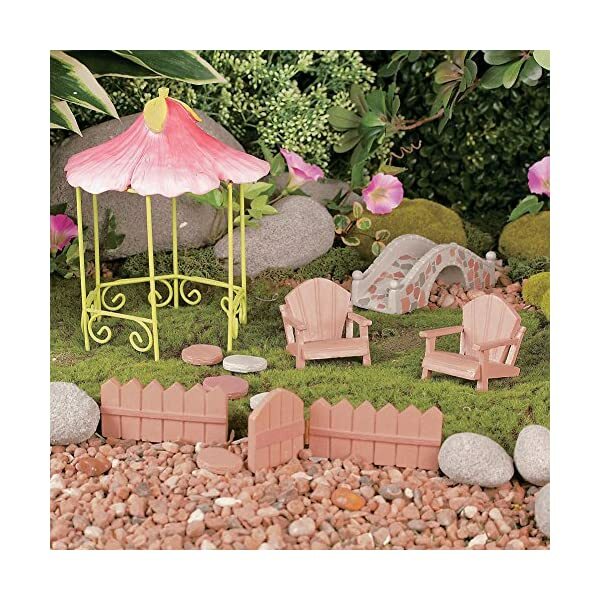 This adorable little outdoor furniture set is a perfect addition to your enchanted garden. 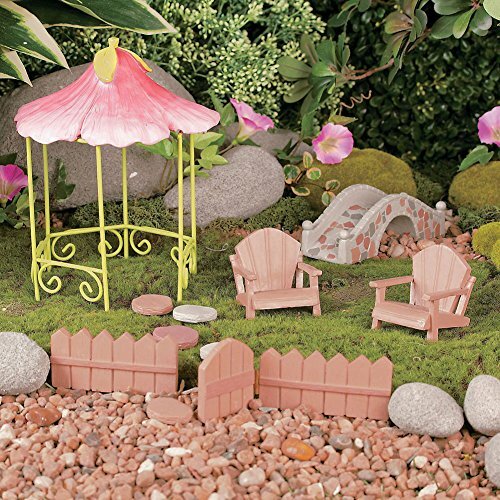 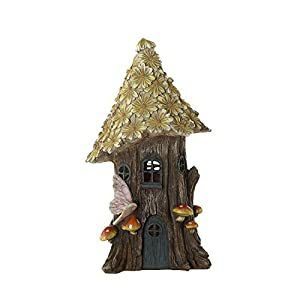 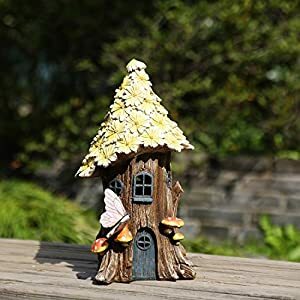 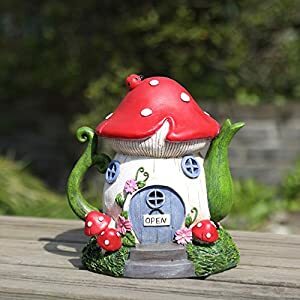 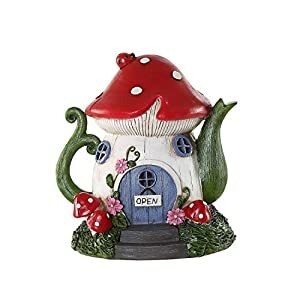 Create a relaxing space just for the little fairies and gnomes. 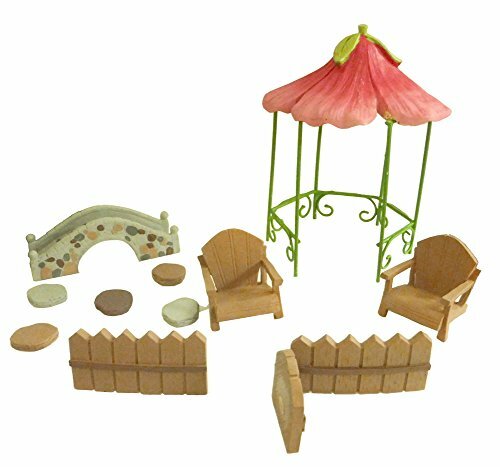 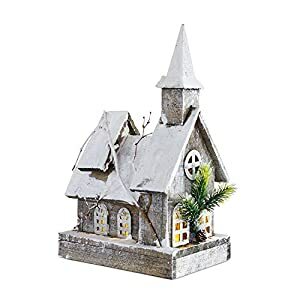 Each set include one 8″ Wooden Gazebo w/ Resin Topper, one 4″ Wooden bridge w/ 5 stepping stones, two Mini Wooden Adirondack Chairs, and one 8.5″ Wooden Fence w/ Gate.